"Hi, I am Tracy! 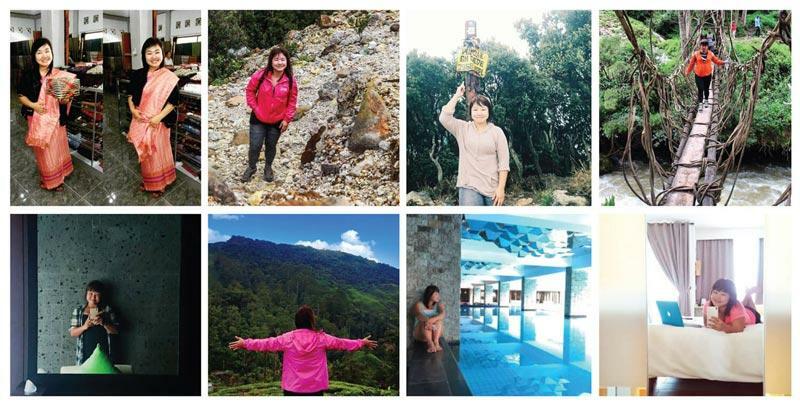 I am a full-time Travel Blogger, Planner & Organizer. I am Indonesian and I stayed in Singapore for about 11 years before I moved back for good in 2016. I love nature - I hike and I dive. When I am not doing either one, I write and I plan. And yes, also meeting friends for a cuppa tea or coffee, too! :) Hope to see you around one day!" For the past 5 years, I have been organizing group tours around Indonesia and have customized several private tours based on requests for a group of friends and families as well. I love seeing how people spending their time out from their routines and exploring nature or doing something that they have not got a chance to try before. Probably, what makes me keeps going are the happy faces that I see during the trip and the love and courage that grow after the trip. Currently, I am based in Jakarta where I work my very best to get you to the beautiful destinations around Indonesia and hopefully to other countries soon at a reasonable cost. I usually will include some activities related to nature and local cultures with a balanced amount of free time to explore others at your leisure. Overall quite satisfied with the trip. Awesome trip with Tracy! 5 stars in every aspect! she is a kind, fun and very humane trip leader.